Stop in and ask about our Fremont Conservation District cost share program! 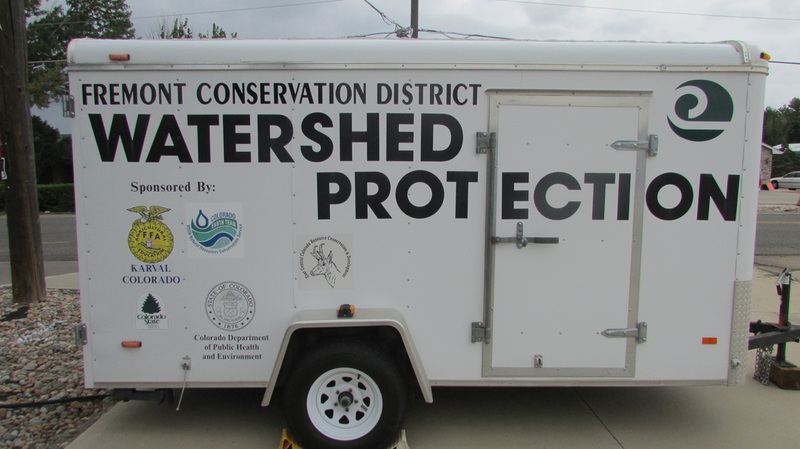 We offer up to $700 (materials only) on conservation projects to landowners within the district boundaries. Projects we have funded in the past include pipelines, structures, seeding, and cross-fencing. We accept applications all year so stop in and see us about your upcoming projects! 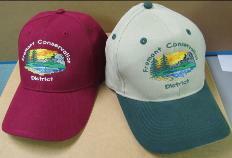 Show your support for your local Conservation District! We have insignia caps in tan, navy, black and green! We are partnering with Fremont County Weed Management and with local landowners to control List A and List B invasive weed species. We can help provide identification of species as well as funding to spray and treat infested properties. Contact us if you'd like more info on this program! Your Fremont Conservation District is supporting the Community Collaborative Rain, Hail and Snow (CoCoRaHs) network! By purchasing a gauge you can help supply important precipitation data that enhances advisories to producers on climate and weather changes. If you have a new project that affects Fremont County water users and would like to partner with us, we'd like to hear from you! We can fund projects (up to $3,000) to help you improve water delivery systems in our County. If you have livestock or wildlife water tanks, a Critter Ramp is a MUST HAVE add-on! 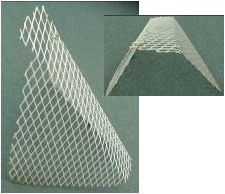 For animals like squirrels and birds who may use the tanks as a source of drinking water, having a Critter Ramp allows for easy escape. Working on a conservation project in Fremont County and need specialty equipment?? - English Harrow - Can be pulled by ATV - 4'6" x 5'6"
We also have a watershed protection trailer filled with shovels, hardhats, and rakes for large community/school conservation projects. These are great tools used to measure depth of irrigation water in soil! Simply wait a day after irrigating, push probe into the soil, and where it stops is the depth of saturation. The producer will know if they are filling the soil profile to the crop-rooting depth or if more water is needed! Looking for past records of services? The Fremont Conservation District can provide documentation for you under the COLORADO OPEN RECORDS LAW. Click here to download the request for records form. For kids of most ages - including adults - who are interested in conservation. Take the city of Agrica from natural disaster to natural beauty in this challenging conservation game!! No downloading required to your computer, just put the disc in and play! !